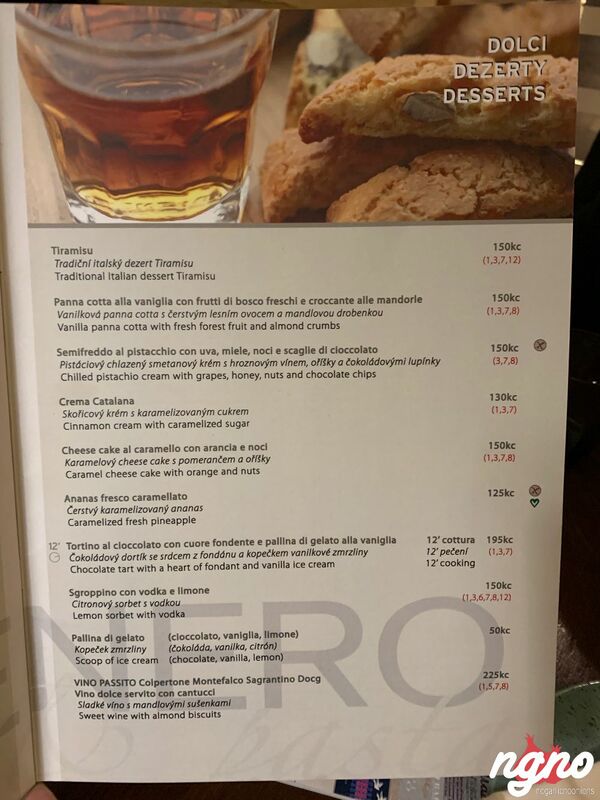 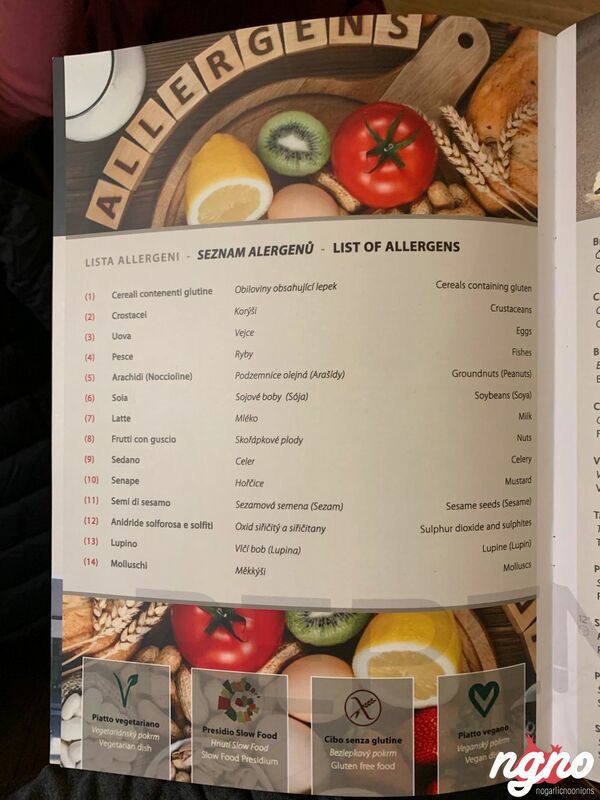 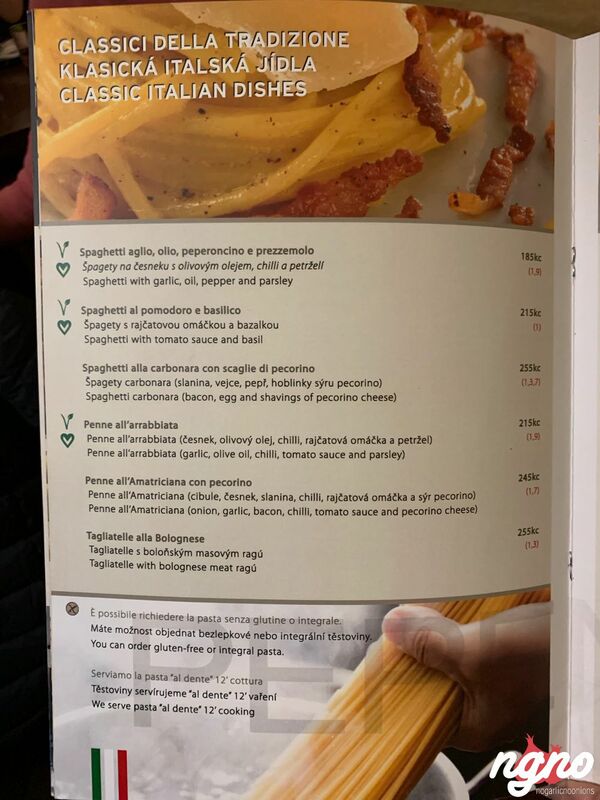 I was waking in front of the restaurant, read on the menu that the carbonara doesn’t contain cream... 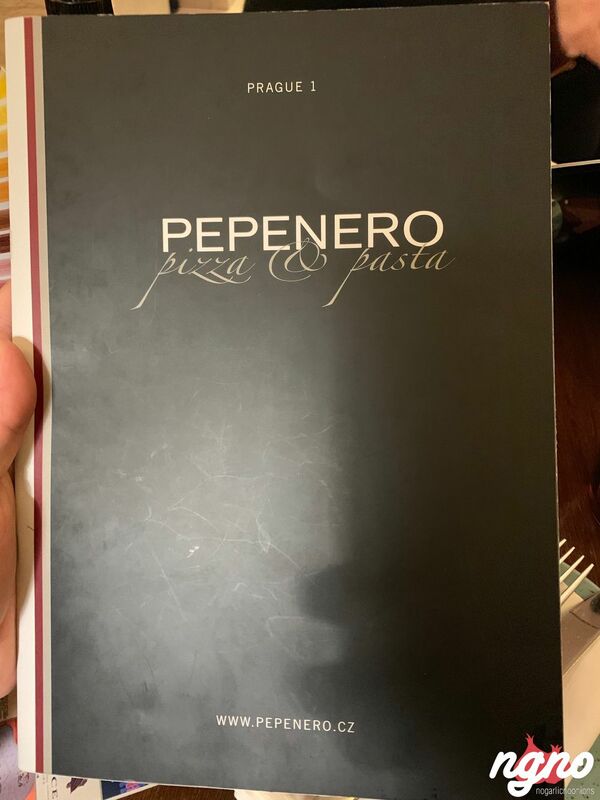 I had to stop here for dinner! 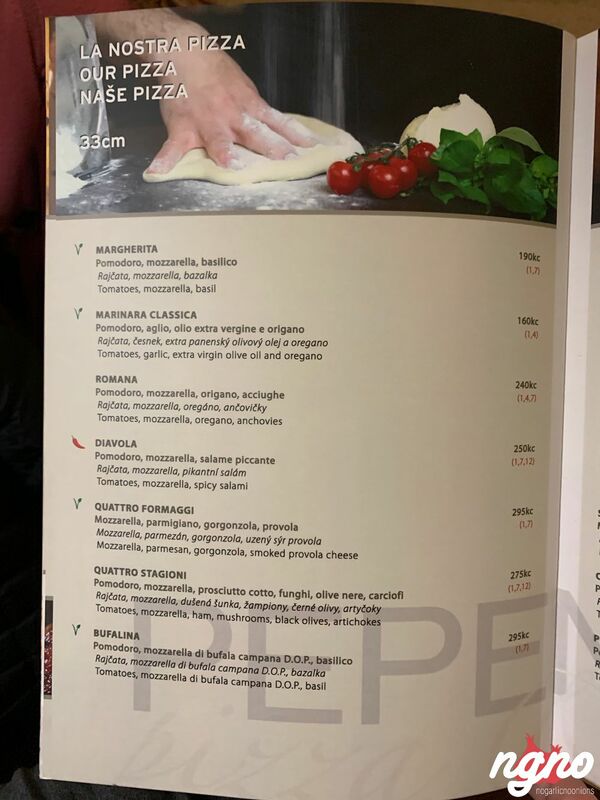 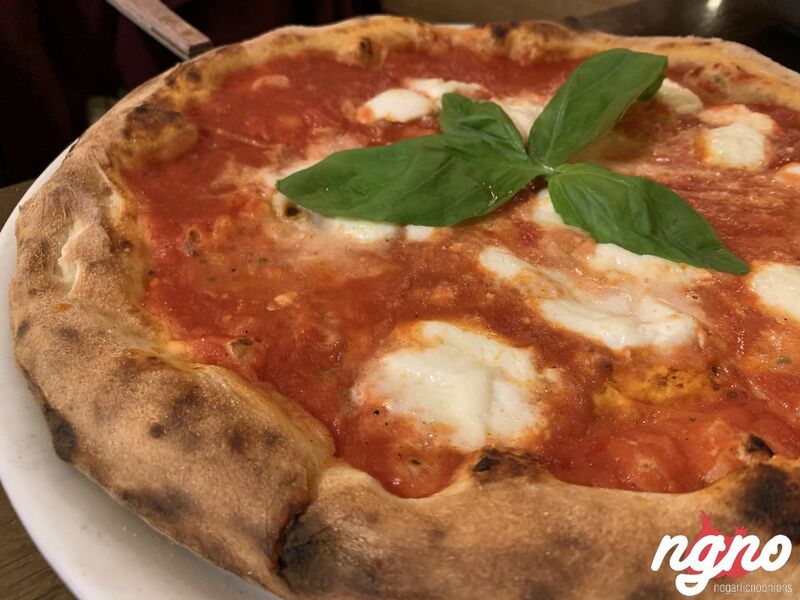 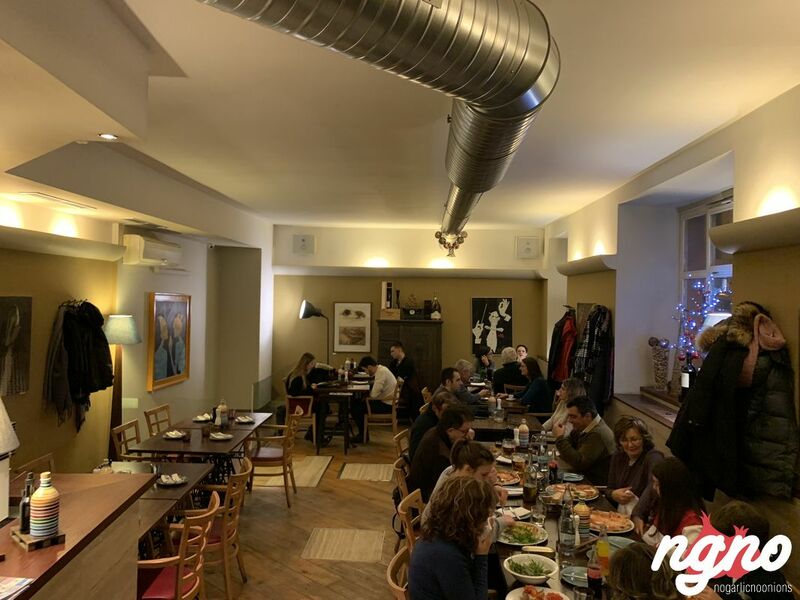 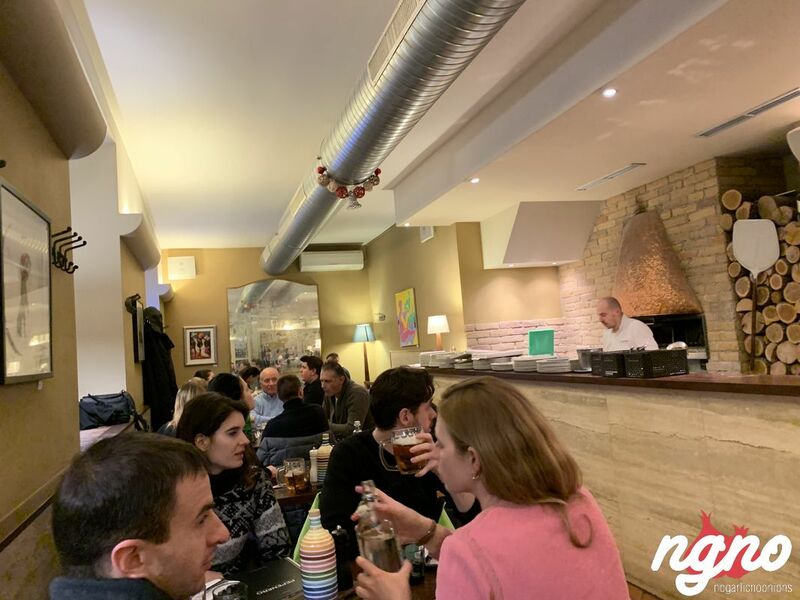 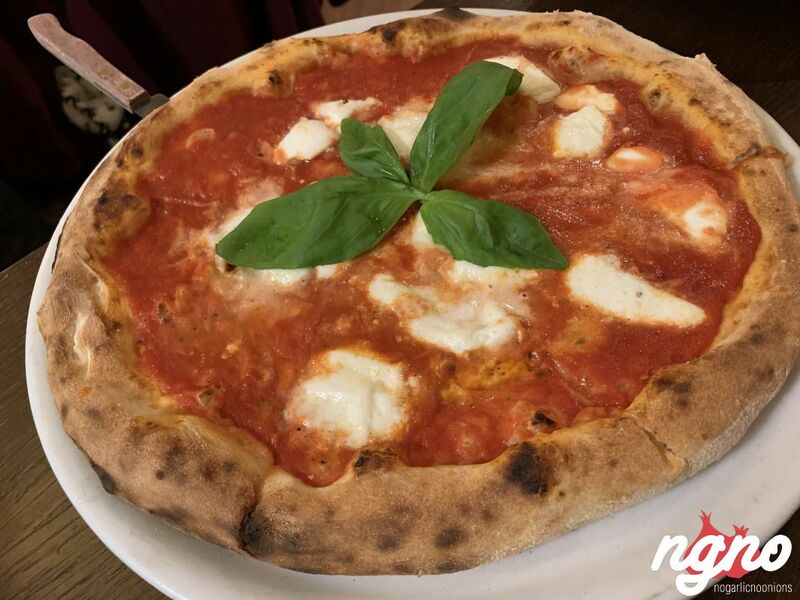 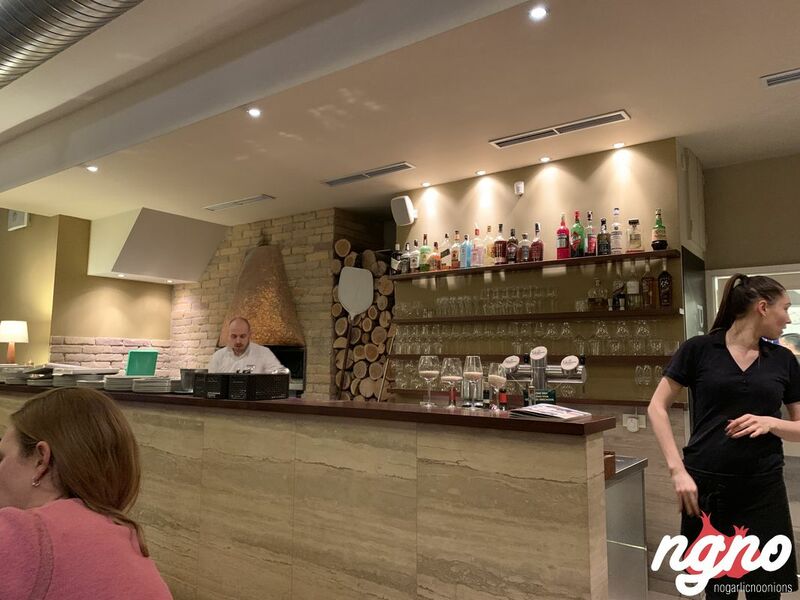 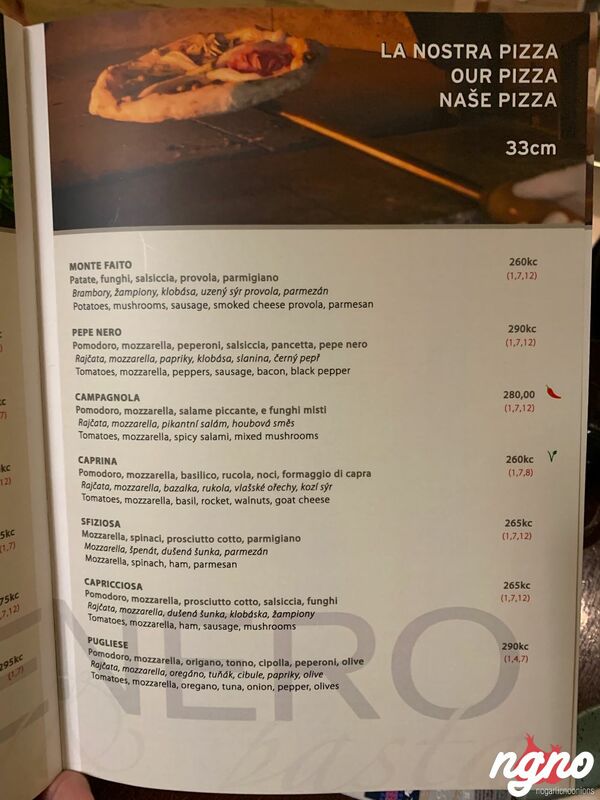 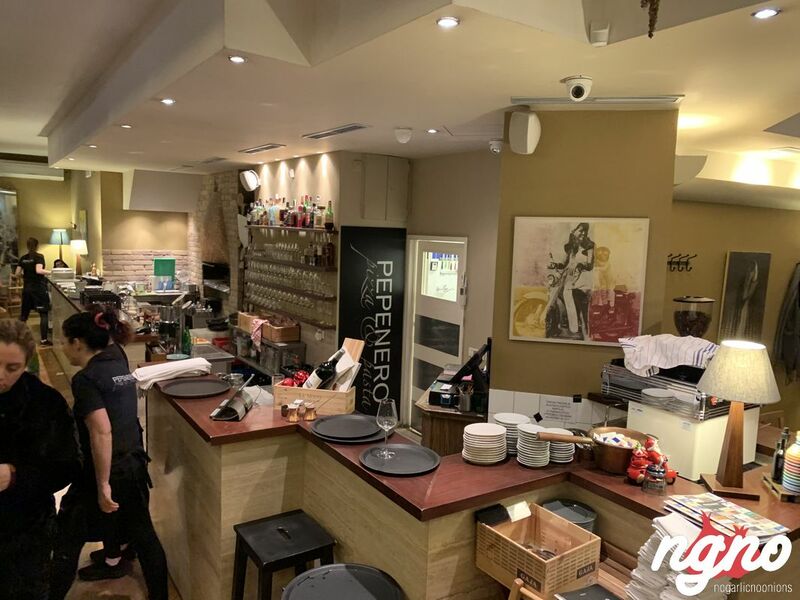 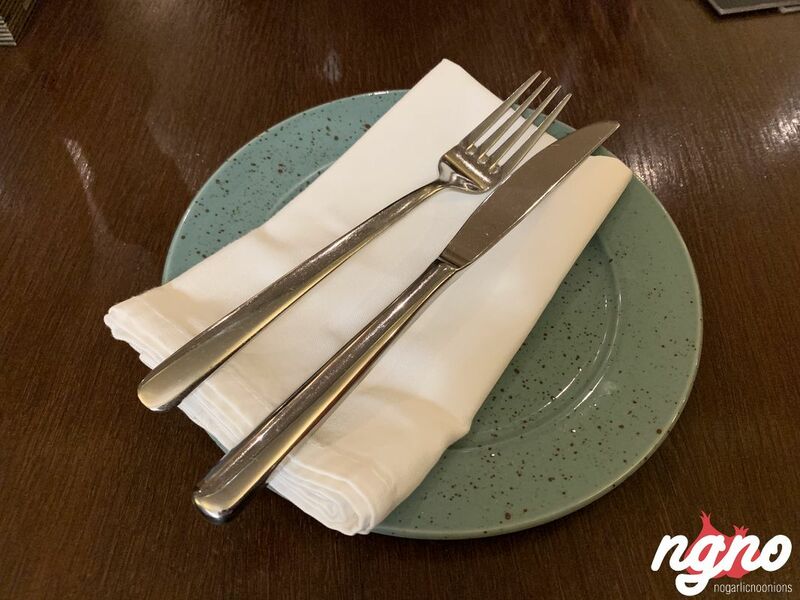 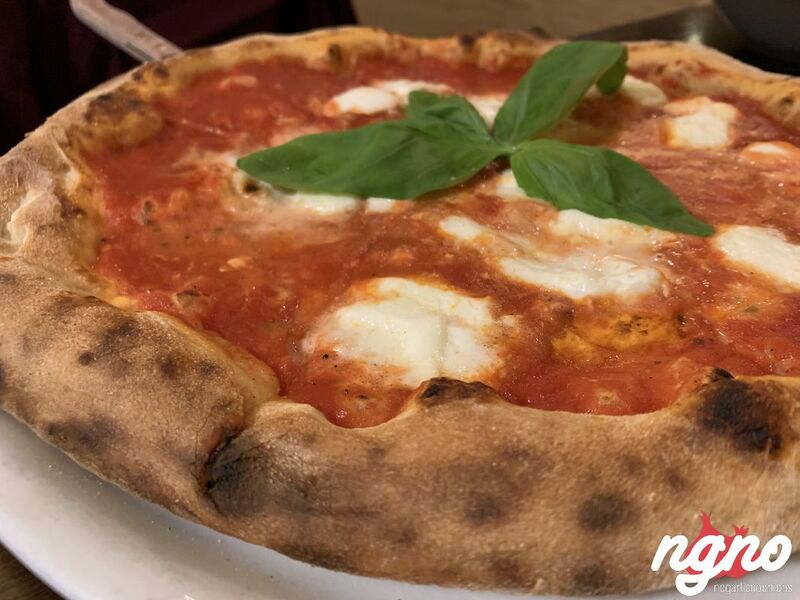 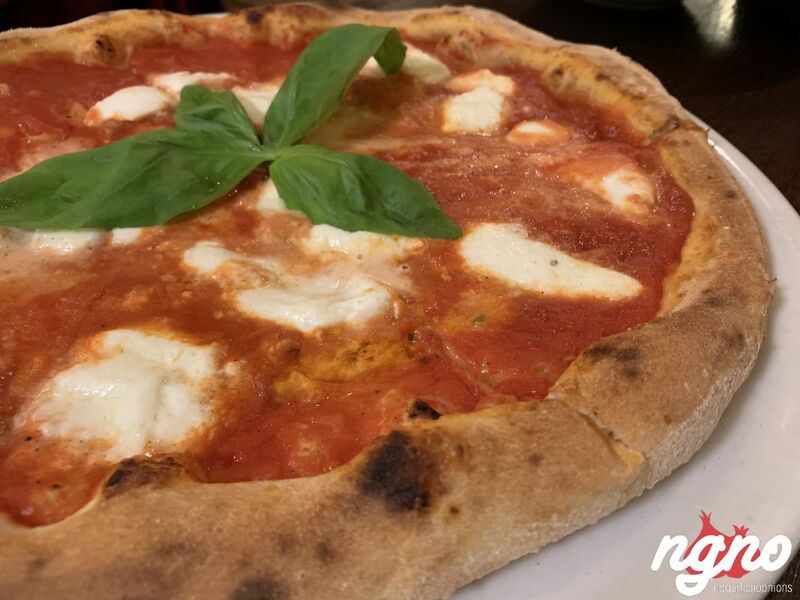 A restaurant oozing Italian vibes, a beautiful menu described in details and loaded with fresh photos, a pizzaiolo preparing one pizza after the other in front of guests in a restaurant handled by a professional team. 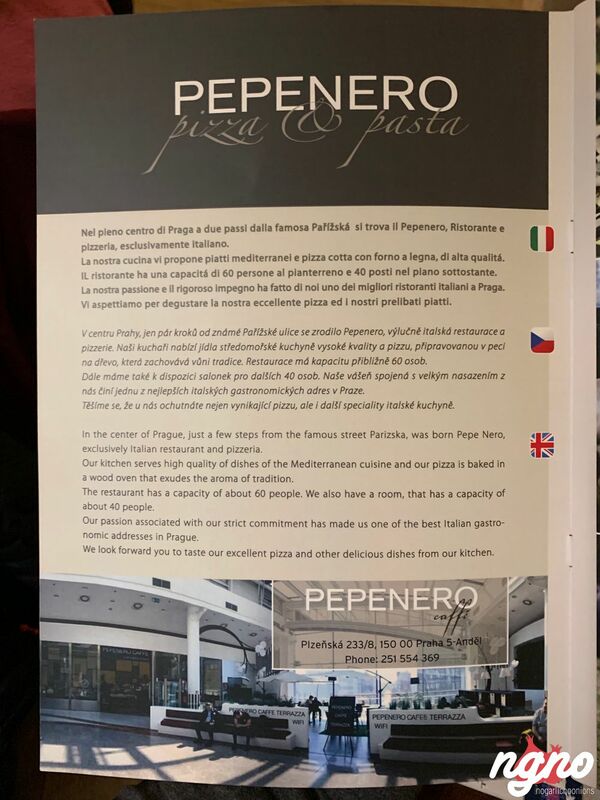 I just felt this place from the minute I walked in. 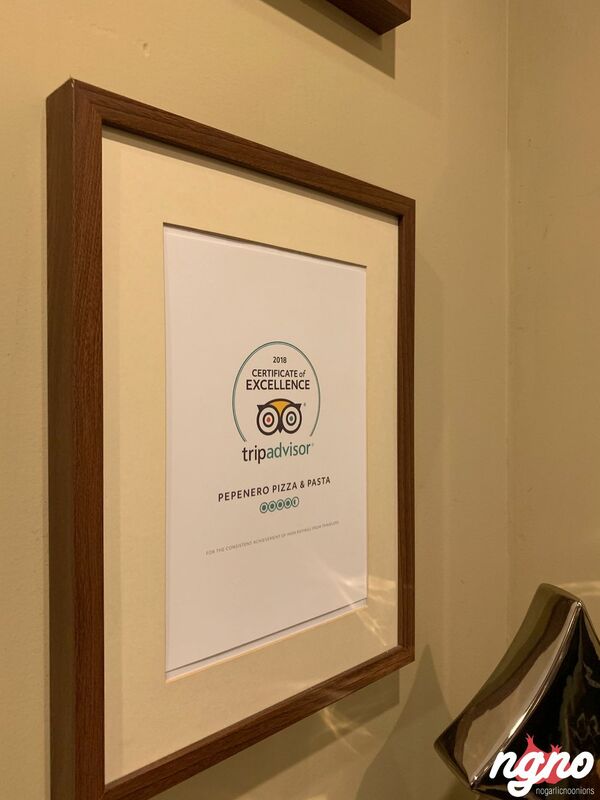 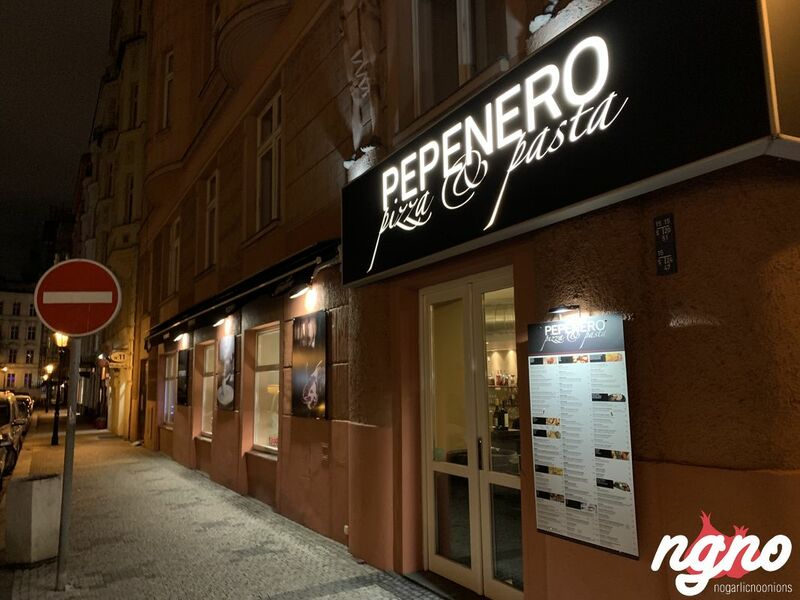 Pepenero restaurant provides a true Italian experience in Prague. 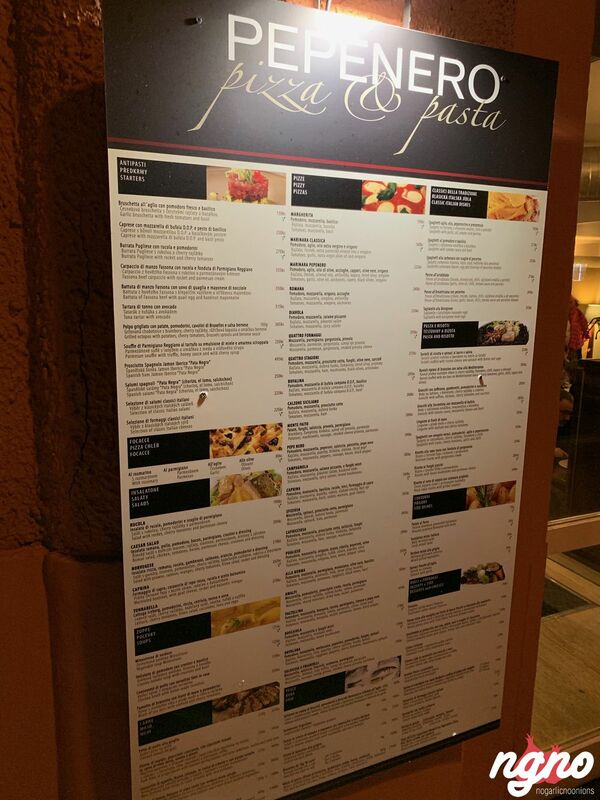 A wide selection of pasta, pizzas, meat and fish dishes, soups and focaccia among others. 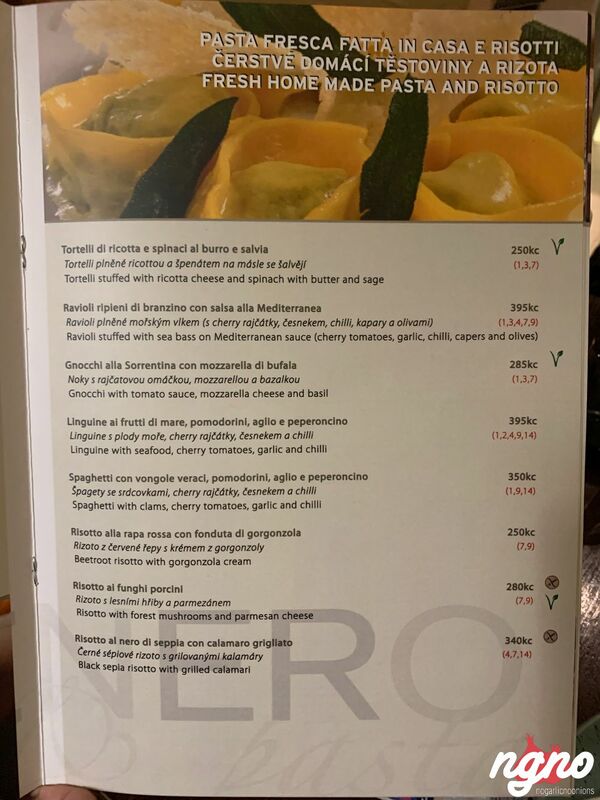 I was so excited to start eating. 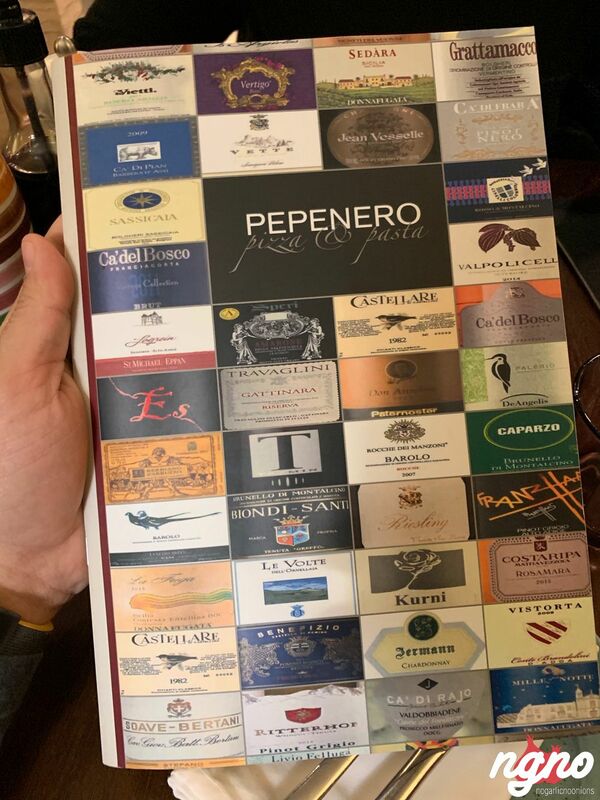 The wine list in another hand is as special as the restaurant. 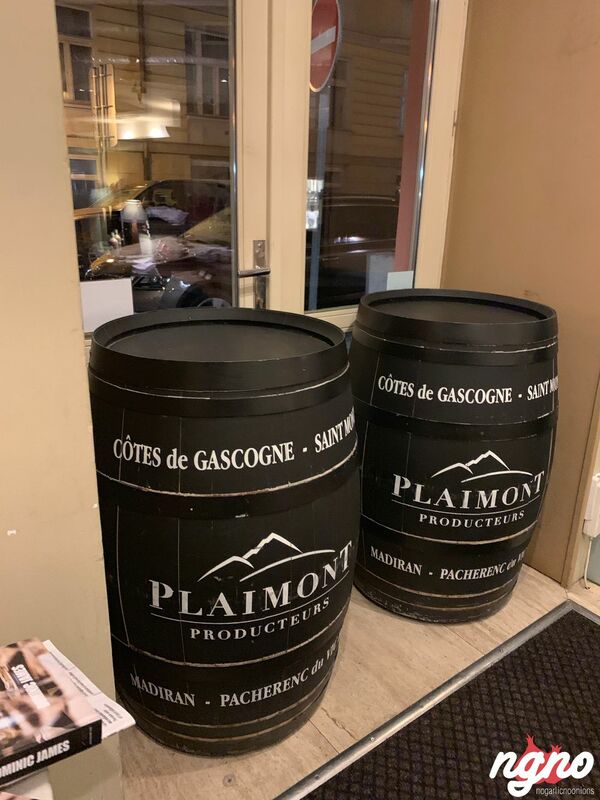 Wines are organized by region and described with their label. 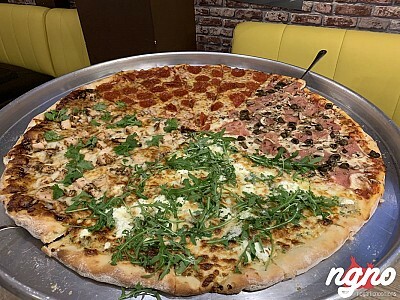 Everything is colorful around here. 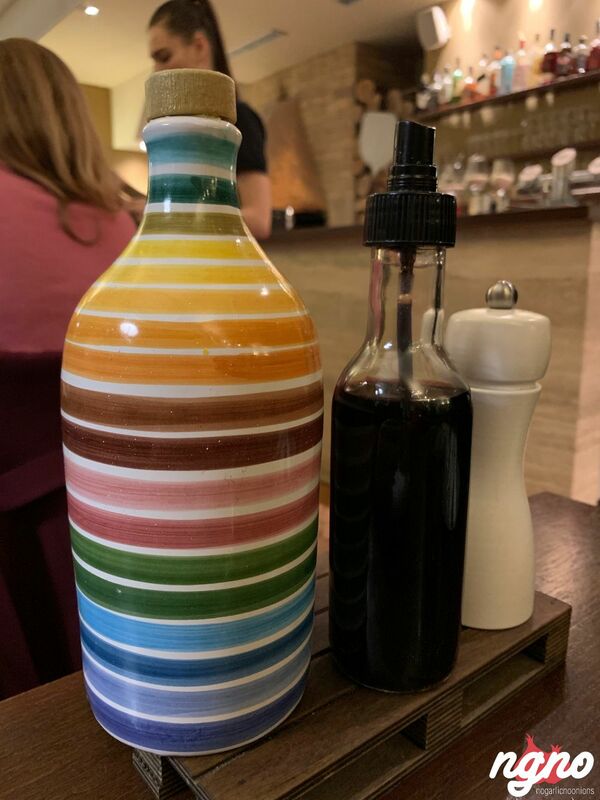 The oil bottle is decorated with a dozen lines of colors. 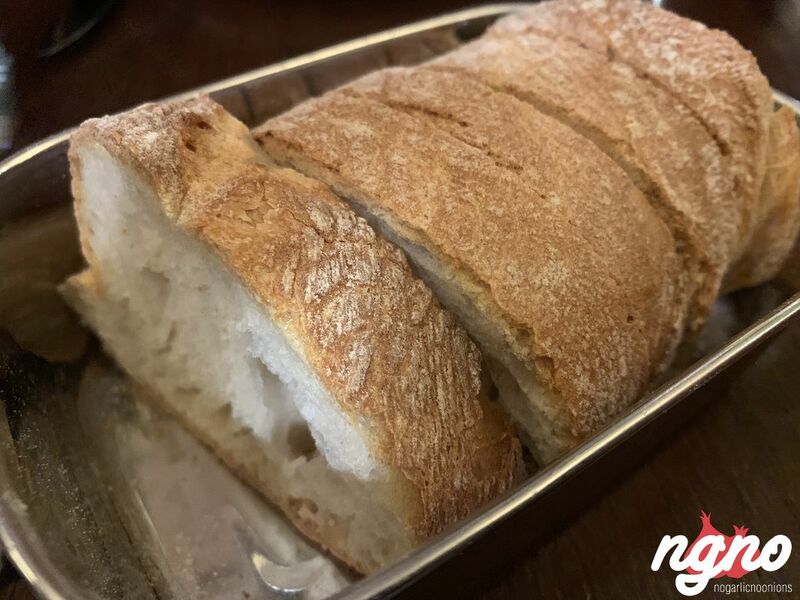 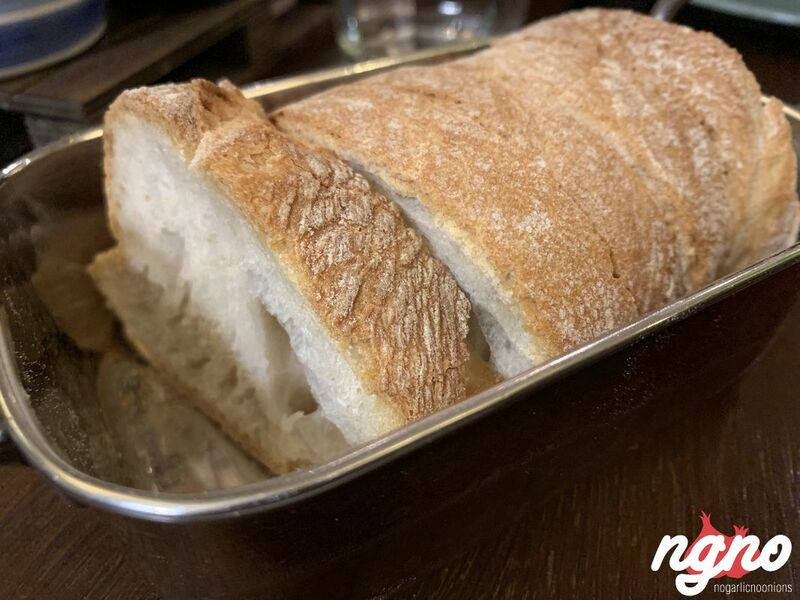 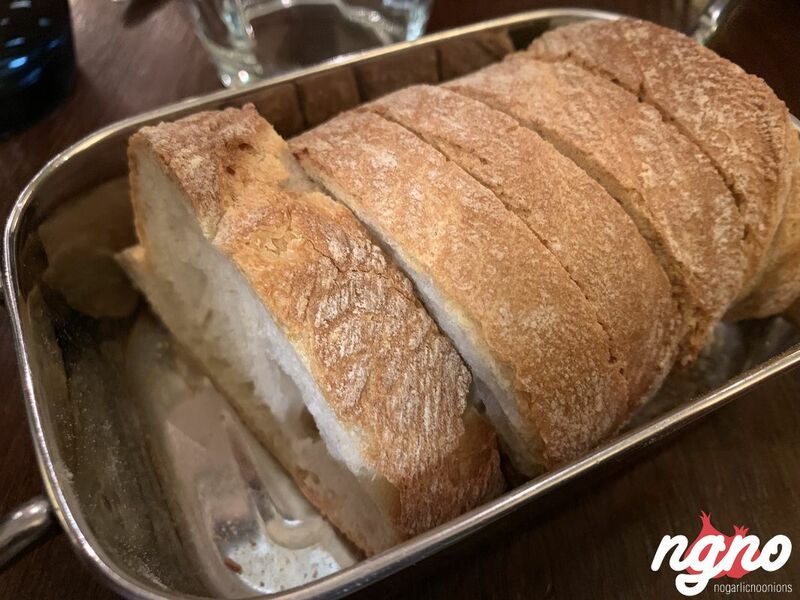 Dinner starts with a metallic casserole of bread for you to enjoy dipping it in Italian olive oil. 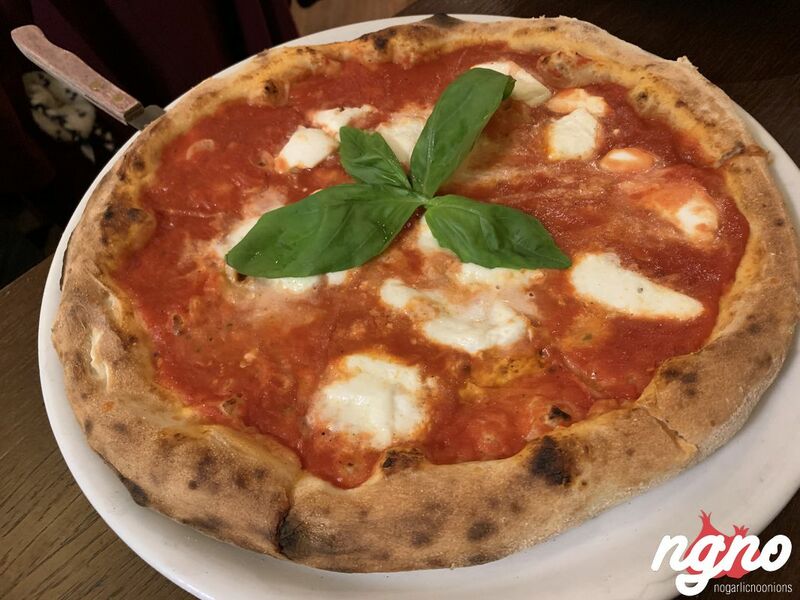 I liked the pizza tomato sauce; a load of it feels fresh and but not homemade. 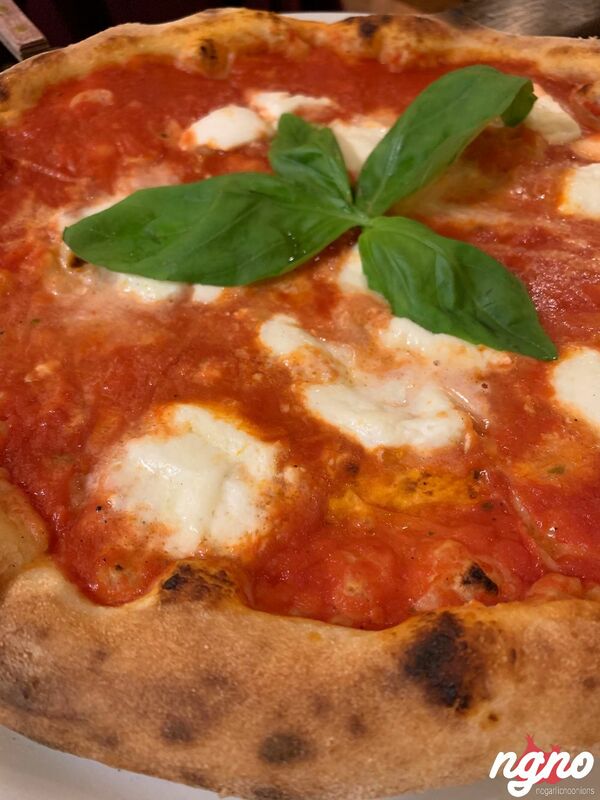 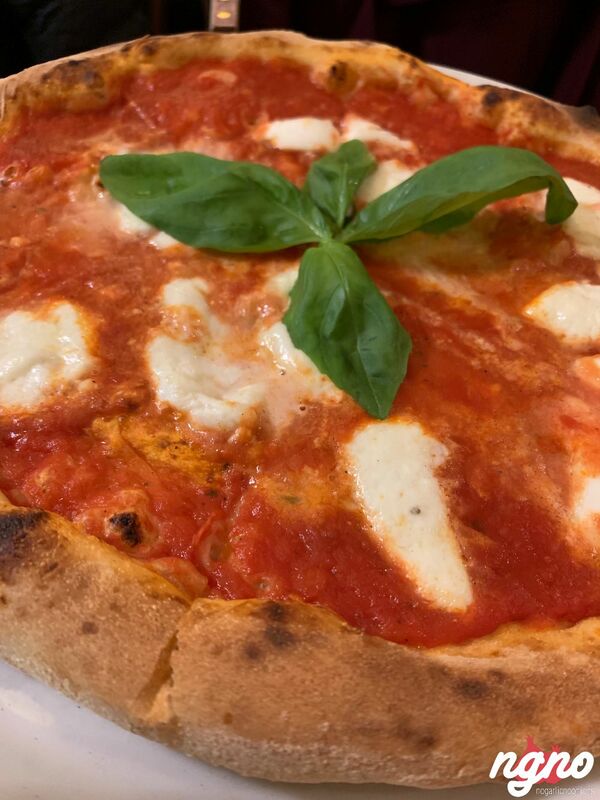 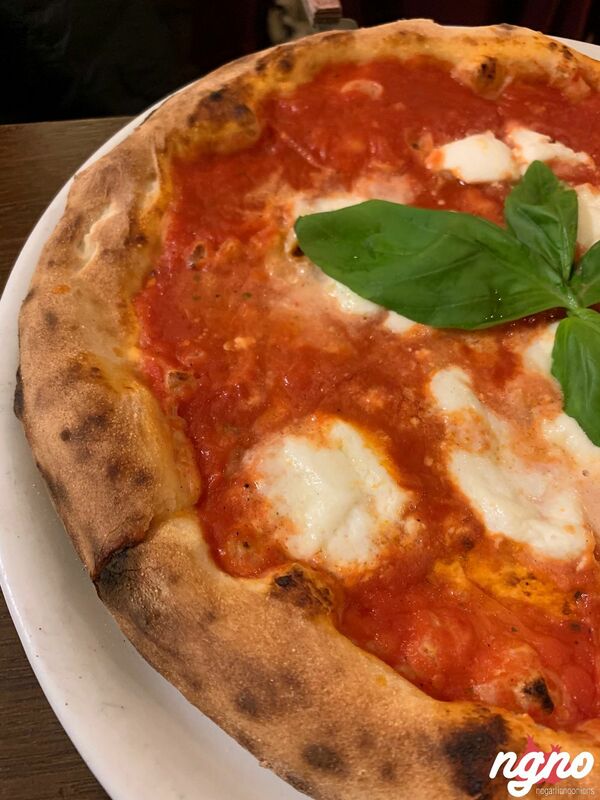 Adequately acidic, the tomato sauce is richly Italian but tastes intensely “tomato.” The crust on another hand is too fluffy and too chewy; that pizza should be baked more. 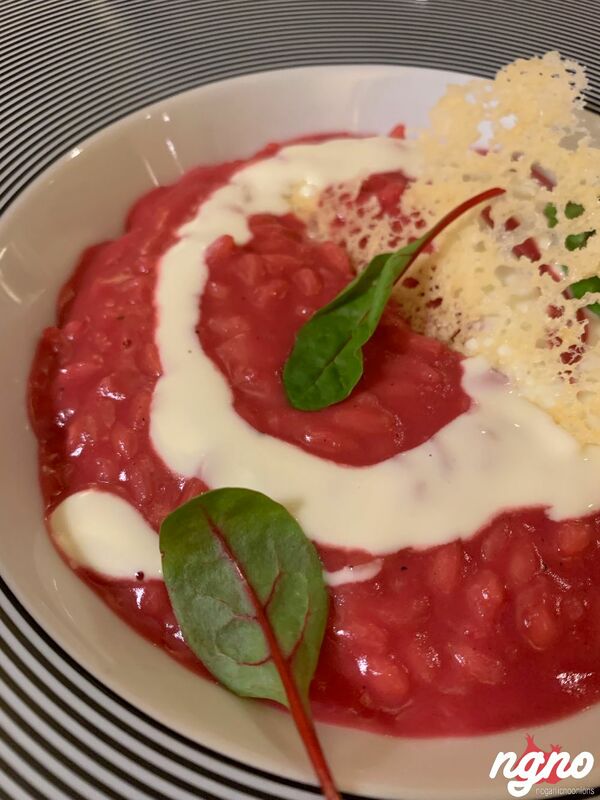 The beetroot risotto followed. 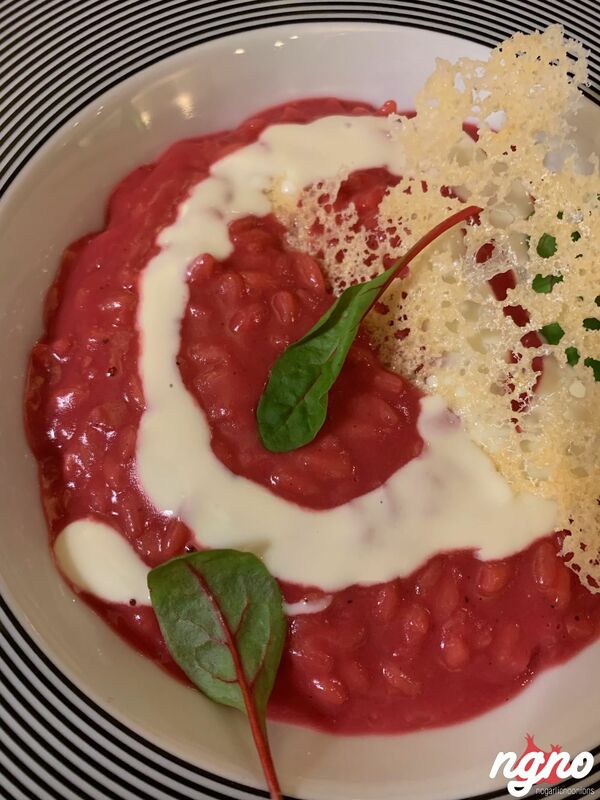 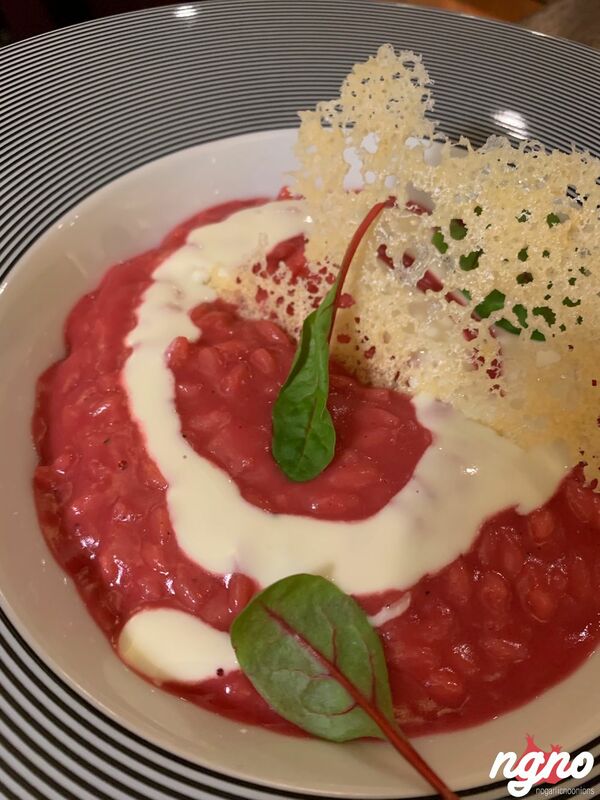 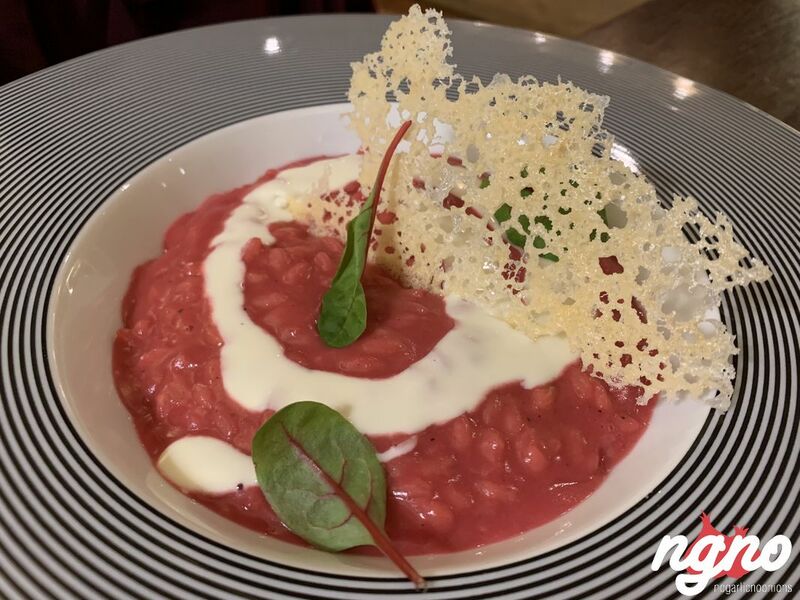 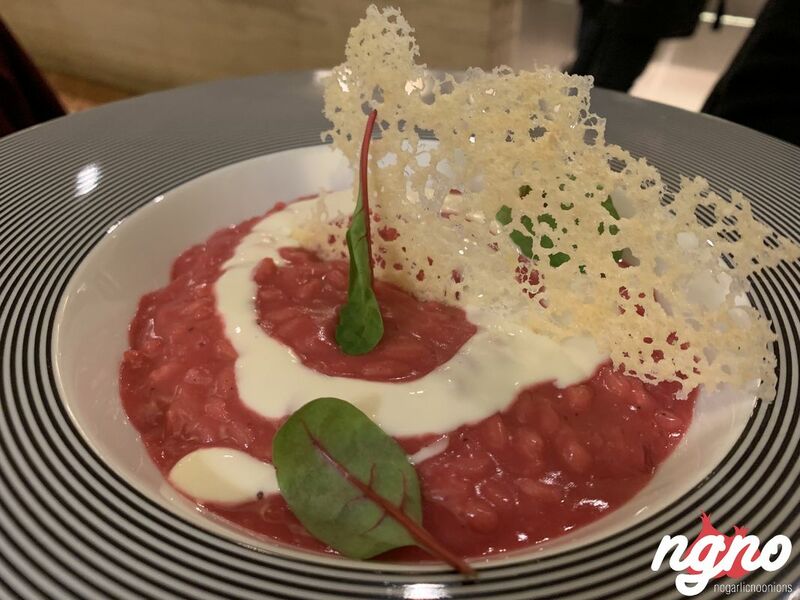 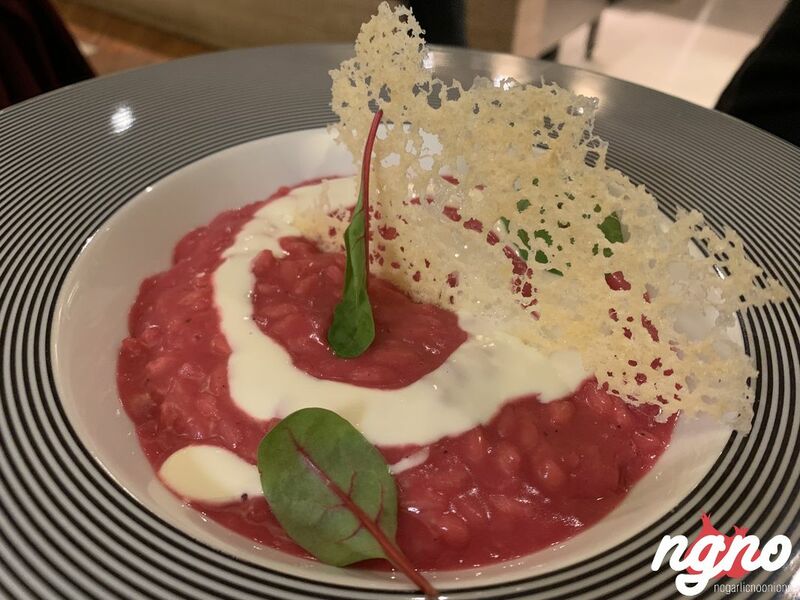 A watery sauce around it, the risotto is cooked al dente, embracing the flavors of Gorgonzola and beetroot. 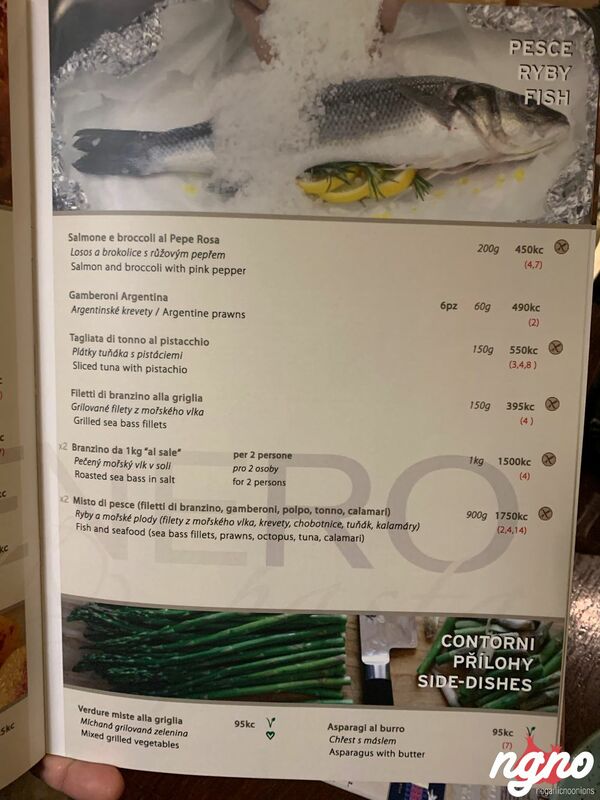 A casual Italian plate with no sophistication. 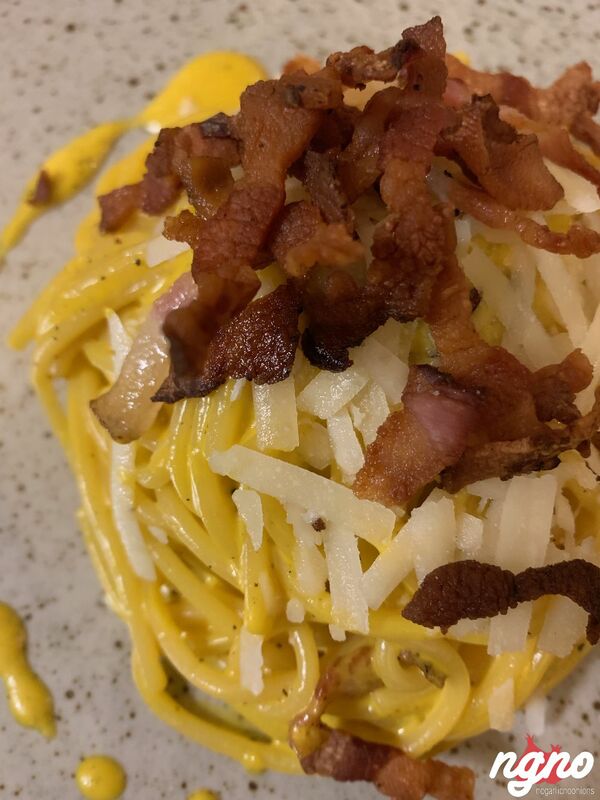 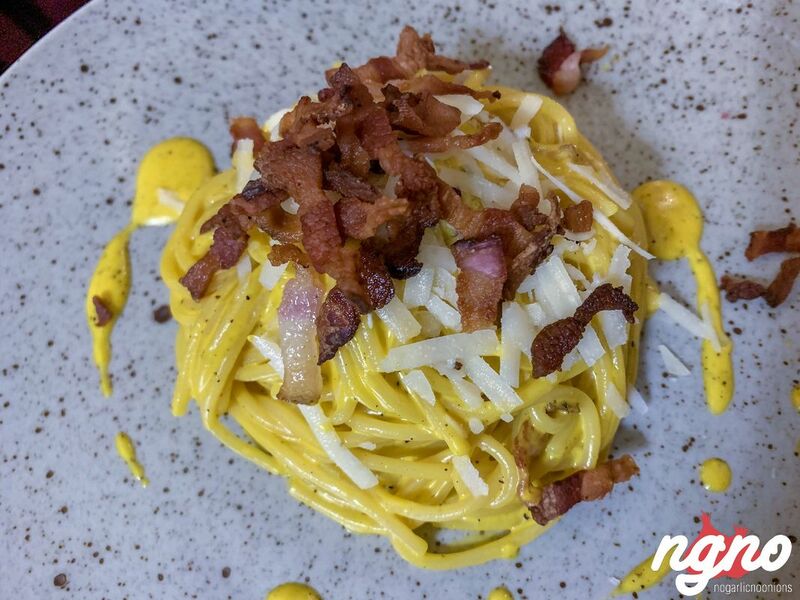 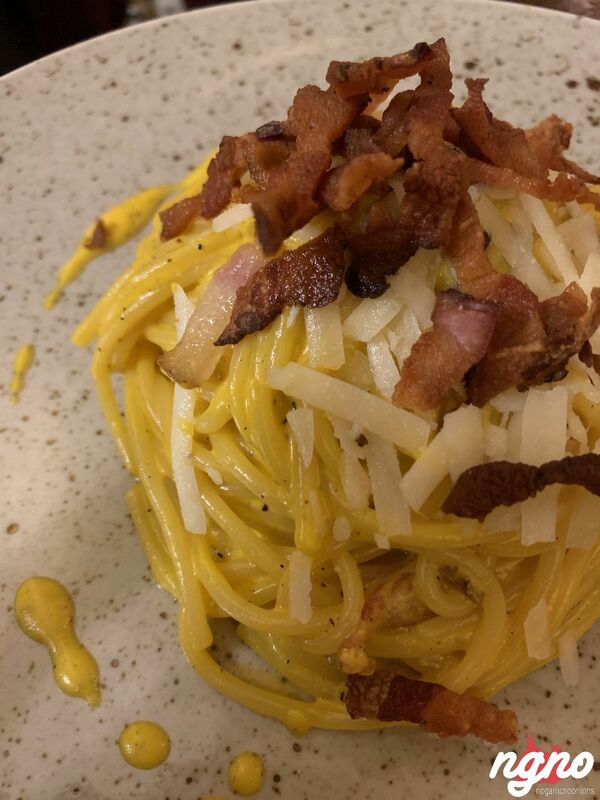 Amazing carbonara! 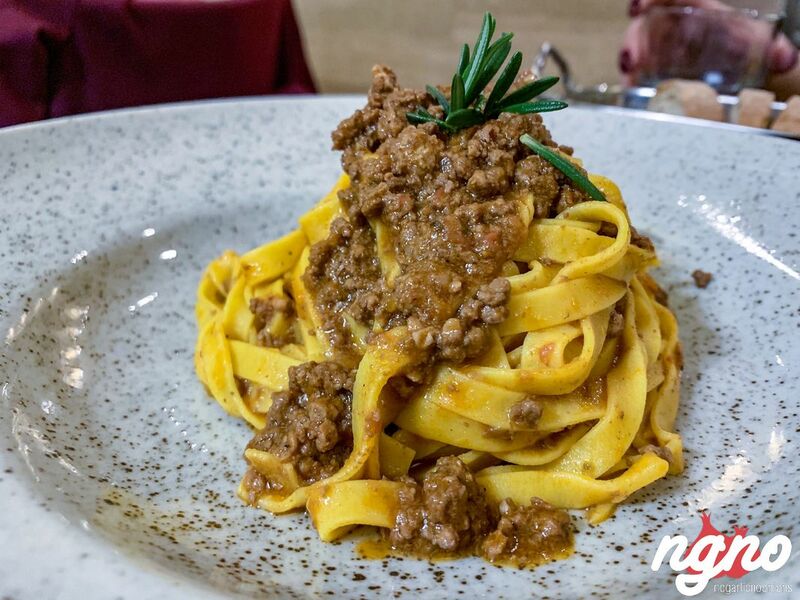 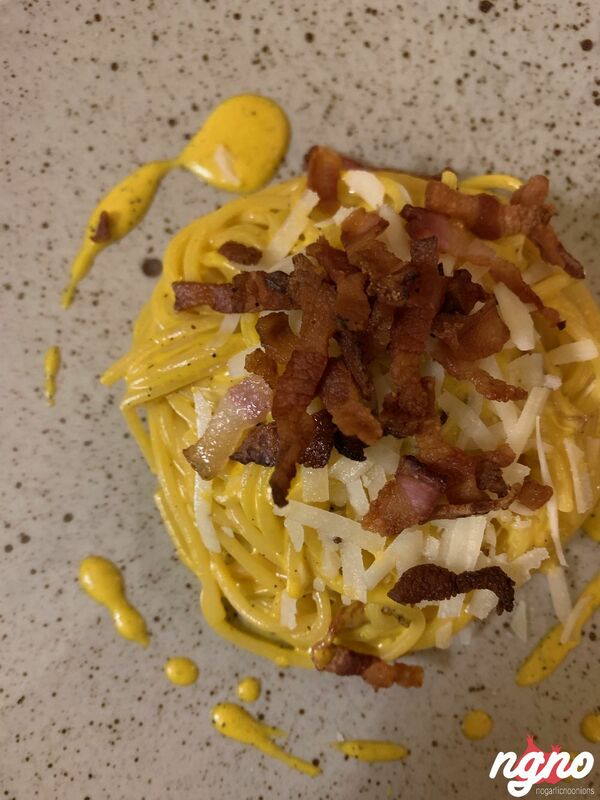 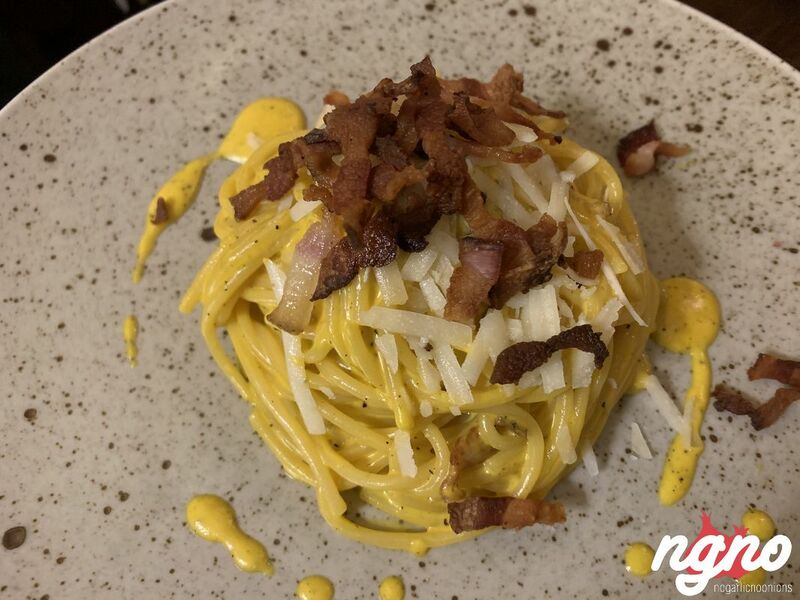 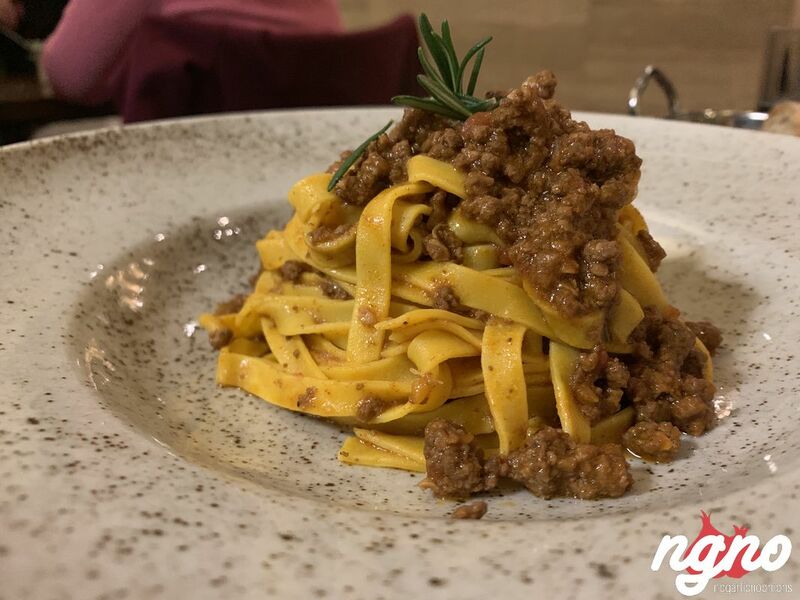 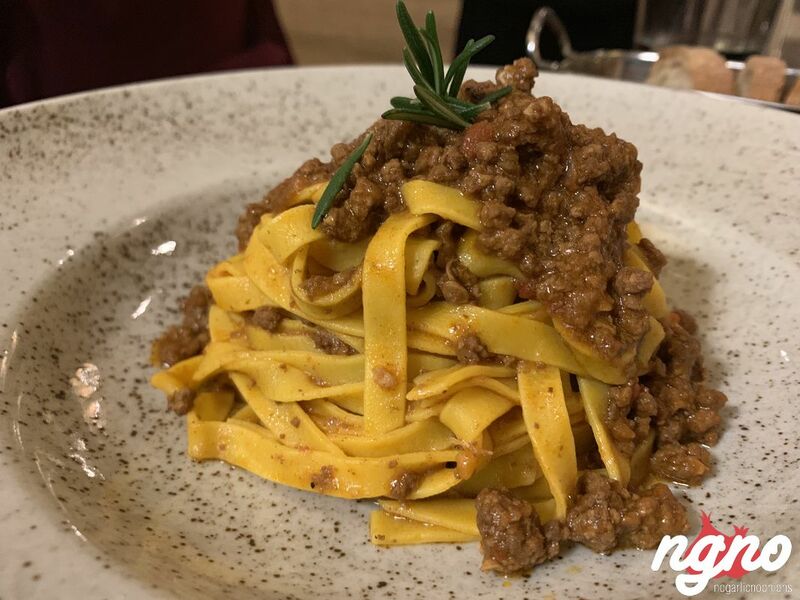 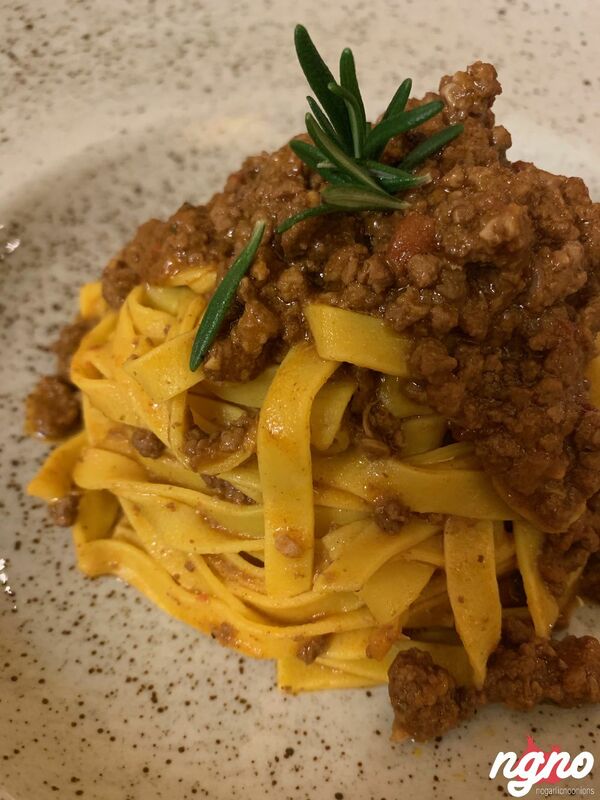 Super duper tasty carbonara and exceptional tagliatelle ragout. 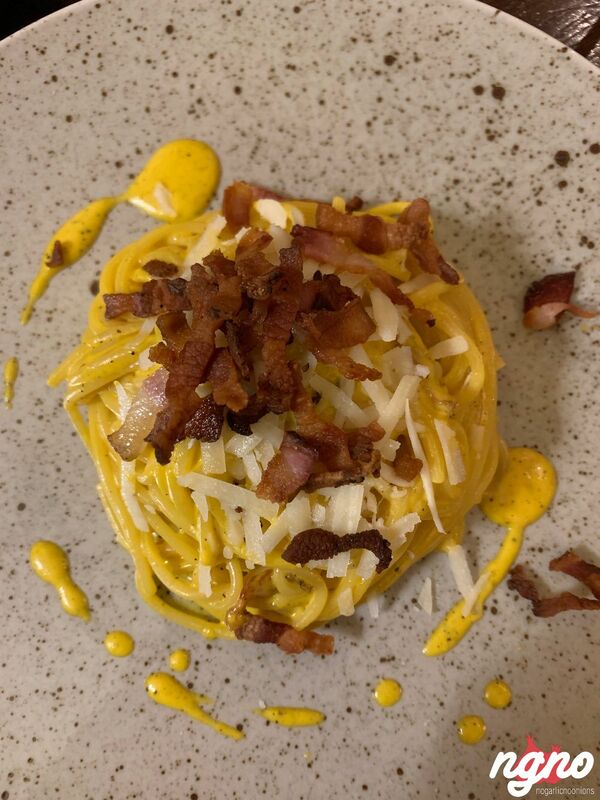 This is how pasta should be! 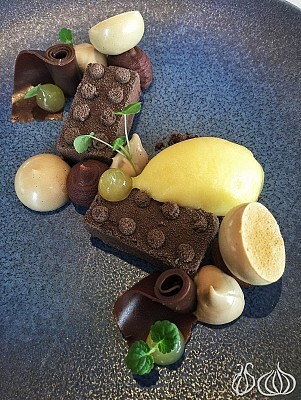 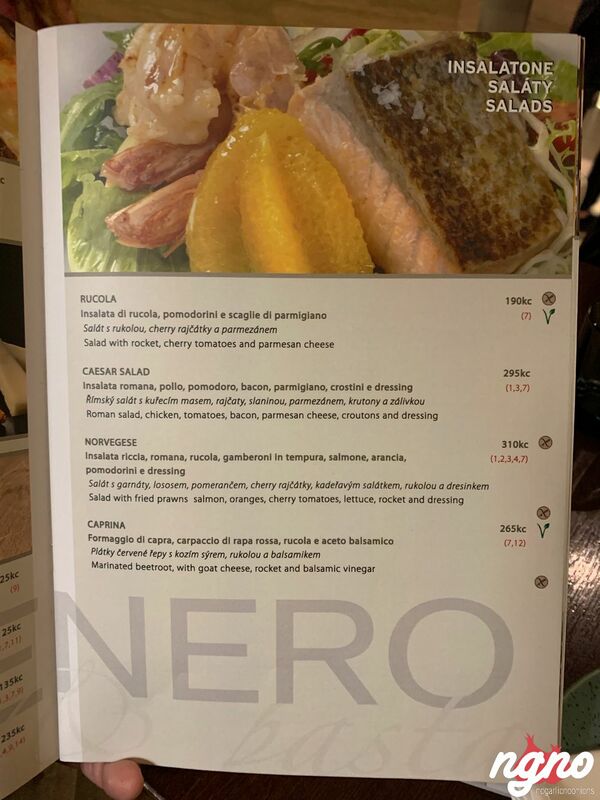 Thank you, chef, for making my day and my trip. 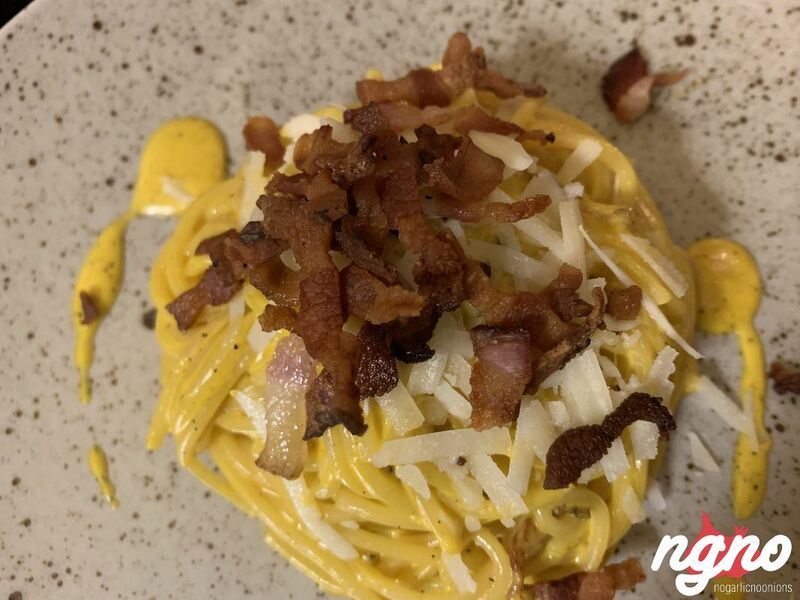 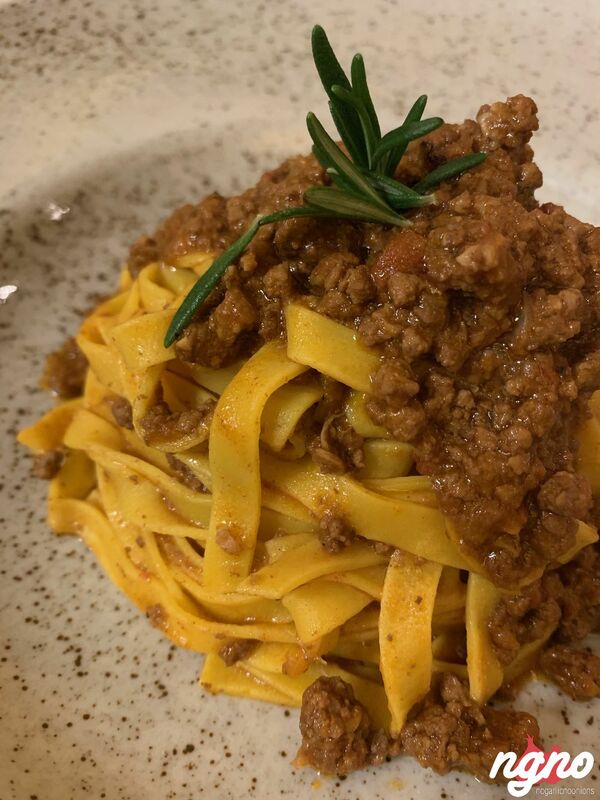 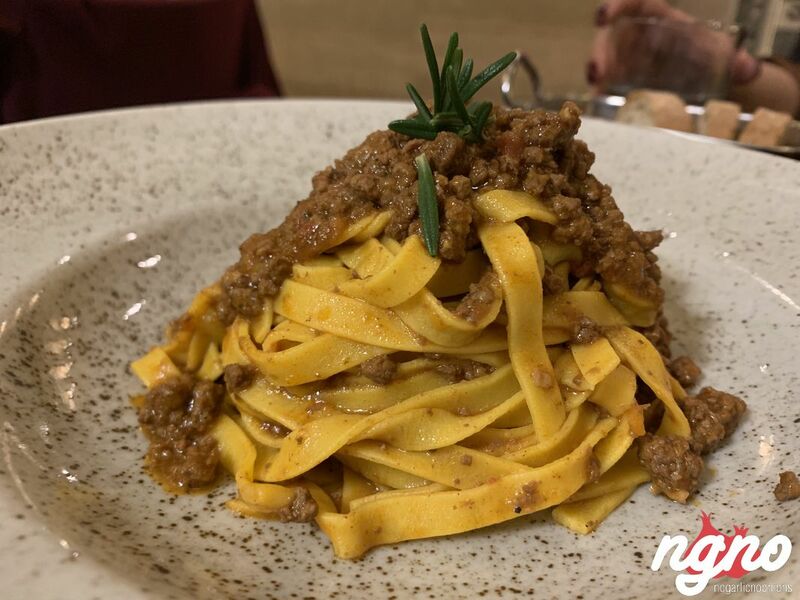 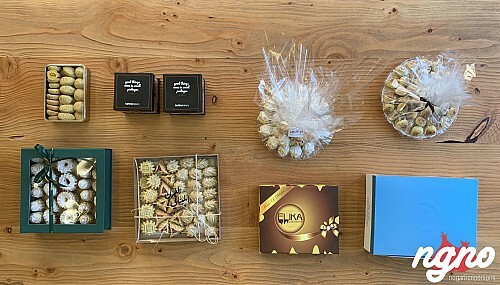 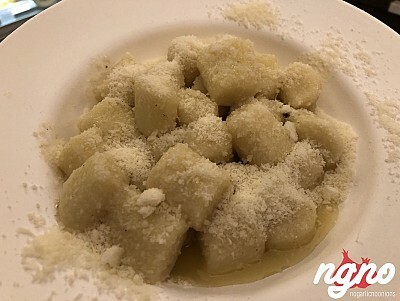 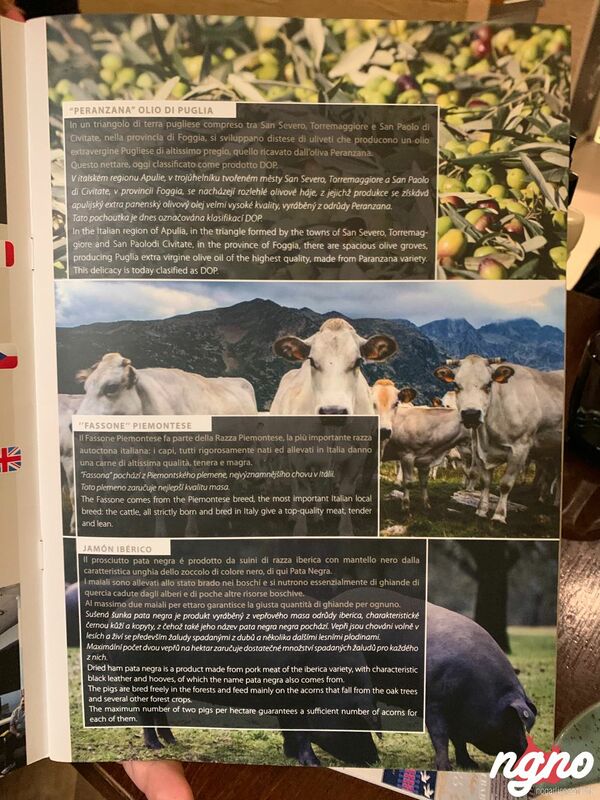 Thank you for the pasta cooked al dente, for the saltiness felt in every bite, for the crispy bacon, for the rich flavors, for the creaminess of the sauces, for the quality of ingredients: thank you for taking me on a journey to Italy and back. 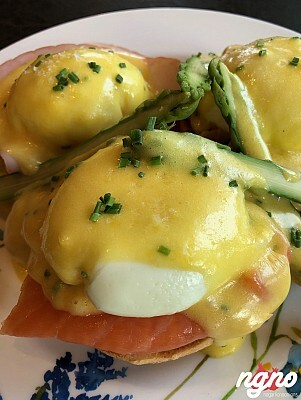 I was flying from my joy while savoring your dishes. 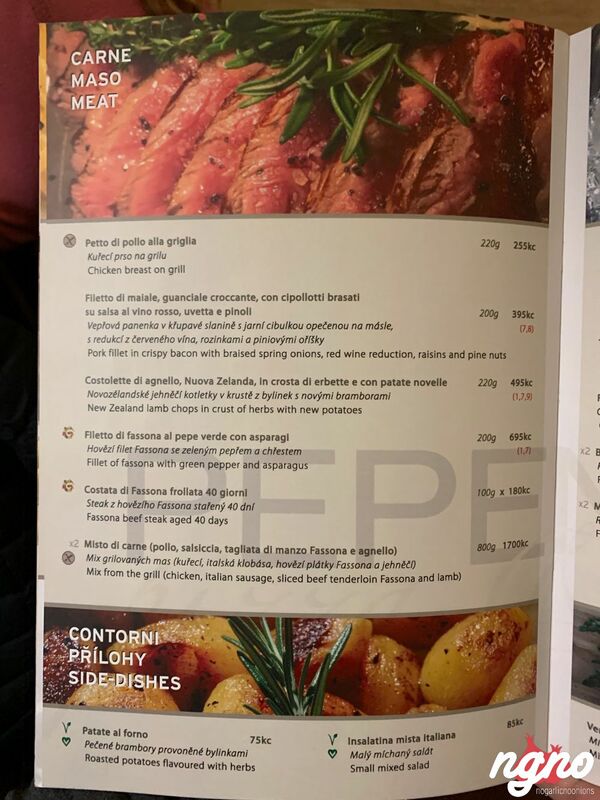 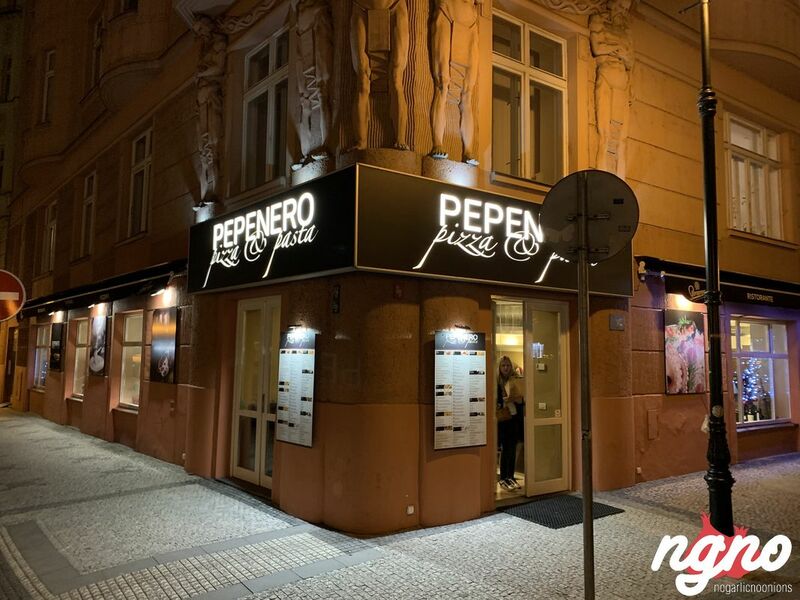 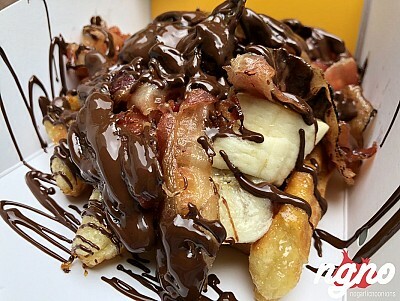 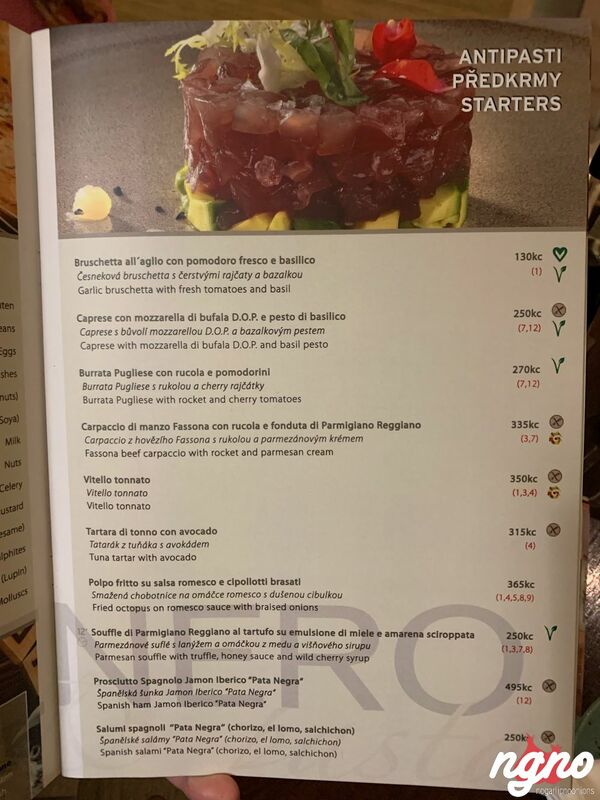 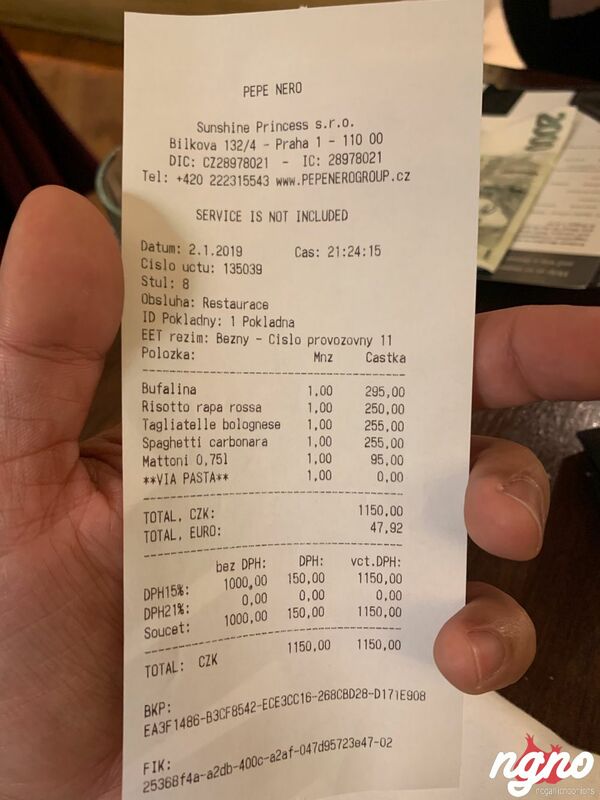 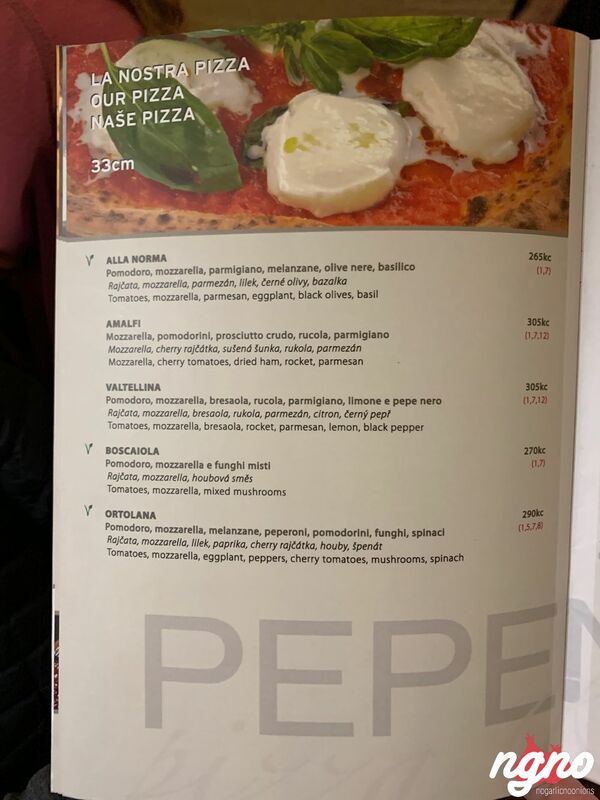 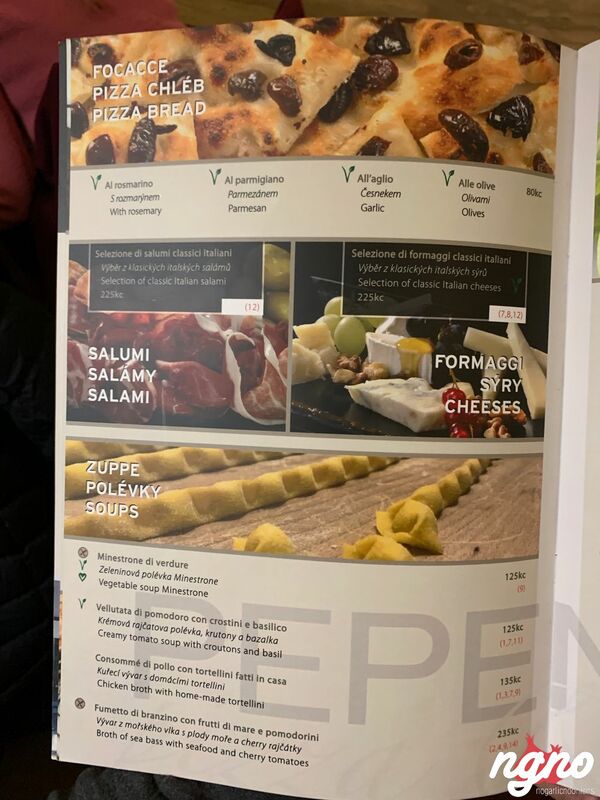 Pepenero is my top recommendation when you visit Prague. 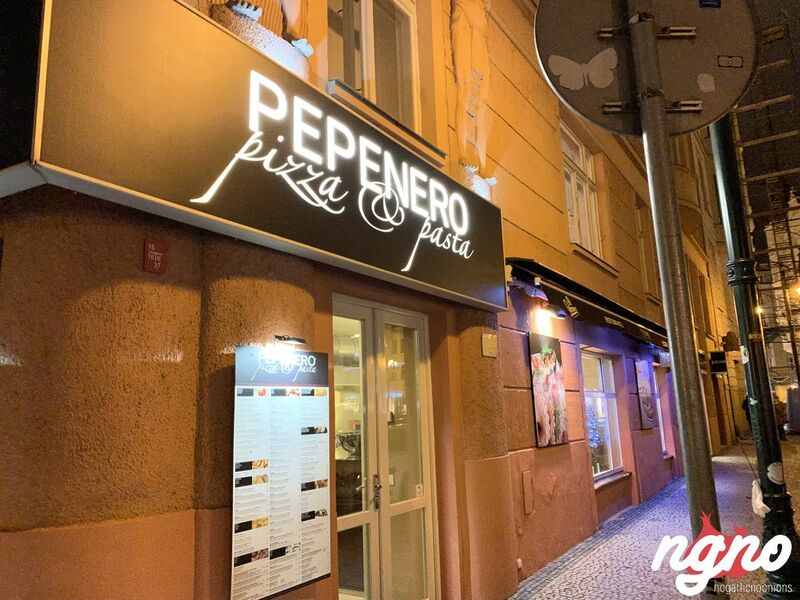 Excellent quality, great value for money, fantastic everything.